There are many ways to support the work of the National Council on Alcoholism and Drug Dependence-Sacramento Region Affiliate. These days funding for healthcare services is stretched, and we know we need to make the best use of available resources in order to continue offering our services to people in crisis. Your volunteer time, monetary or in-kind donation will all help us provide the services needed in the Sacramento region. NCADD-Sacramento is very appreciative of the services performed by volunteers. 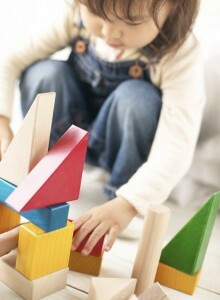 Tasks range from administrative support to cooking or helping out in our Playcare Center. There is always a need for extra support at NCADD-Sacramento events. If you would like to know more about volunteering at NCADD-Sacramento contact support@ncaddsac.org and let us know that you are interested. Use the form below to tell us how you would like to help NCADD serve families and individuals who would benefit from our compassionate team of professionals. You can also let us know if you are interested in donating your time or items for our kitchen or playcare. Any support you can provide will be greatly appreciated and wisely used. A little goes a long way at NCADD-Sacramento. Your $200 donation will fund four classes for a client who doesn’t qualify for Medi-Cal. Your $150 donation will provide four counseling sessions for a client who doesn’t qualify for Medi-Cal. Your $25 donation will replace needed art supplies and toys in our Playcare Center. To donate, you may use a credit or debit card. Just click on the Donate button below. NCADD Sacramento – 1433 Fulton Ave, California 95825, USA.